Shared Hosting Vs VPS Hosting . If you are running your small business successfully then you must know about the shared hosting. But I am still reviewing the comparison between shared hosting and VPS hosting. Not only choosing a right web hosting brand is required, but there are still some additional features required to choose a proper web hosting plan. So, the types of hosting which are available are shared hosting (the lowest level), VPS hosting and Dedicated servers hosting. So, guys for a progressive success rate, you need to grow with time and so should be your business. So stepping up from the lower level to a higher level, should be a compulsive step. So, if your domain experiences a good quantitative and stable traffic and it is not increasing further, then it means that you need to upgrade to a further level i.e. from shared web hosting to VPS (Virtual Private Servers). Definitely, VPS hosting is better than shared hosting. So, I am putting some highlights on the two types of hosting and their features. So have a look. Shared Hosting, as the name suggests, lets the users to share a common server and thus users get the services at cheaper price. It is thus beneficial for the newcomers who don’t have much investment to start with. Affordable - Off course, shared plans are more affordable. We can get a shared plan with a setup price of $2 - $4 per month. So, it is an affordable price. No Technical Knowledge Required - Since, the shared hosting lets the users to rely or depend on them completely, there is not much technical required to run blog. Huge Storage Space- Storage space of a website in shared plan can be extended by requested further more. You have limited number of tools. The server crashes often and is slow in speed. The customer support at the lowest level is also not much effective. Virtual Private Servers are a kind of virtual servers which are not the full servers but a portion of server is dedicated to you only. So, for more flexibility and features, you always need more reliable solutions. Such a solution is VPS hosting. So, it is very important to upgrade to the VPS plan from the shared plan if you have a huge traffic. There will be huge bandwidth and huge disk usage space. You have higher flexibility and higher speed. You get experience of more secured hosting which is protected from viruses and malwares. You have better customer support than shared plans. So, your problems will be listened with higher priority and will be solved earlier. You require a little technical knowledge for using VPS hosting. Some of the features cause error in the virtual environment of this hosting. 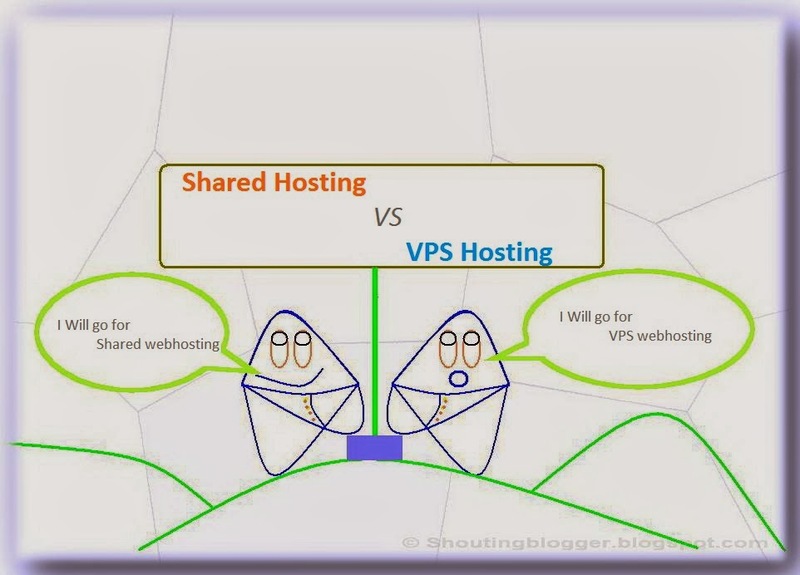 So, now I think you have got the comparison between shared hosting and VPS hosting.